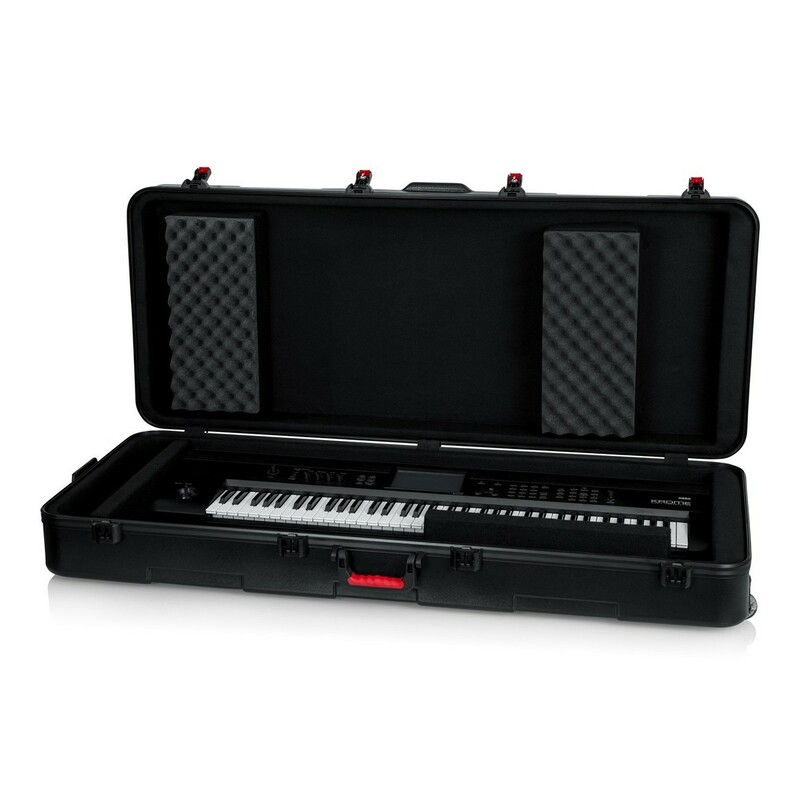 The Gator GTSA-KEY76D Case is designed to accommodate most extra-deep 76-note keyboards. 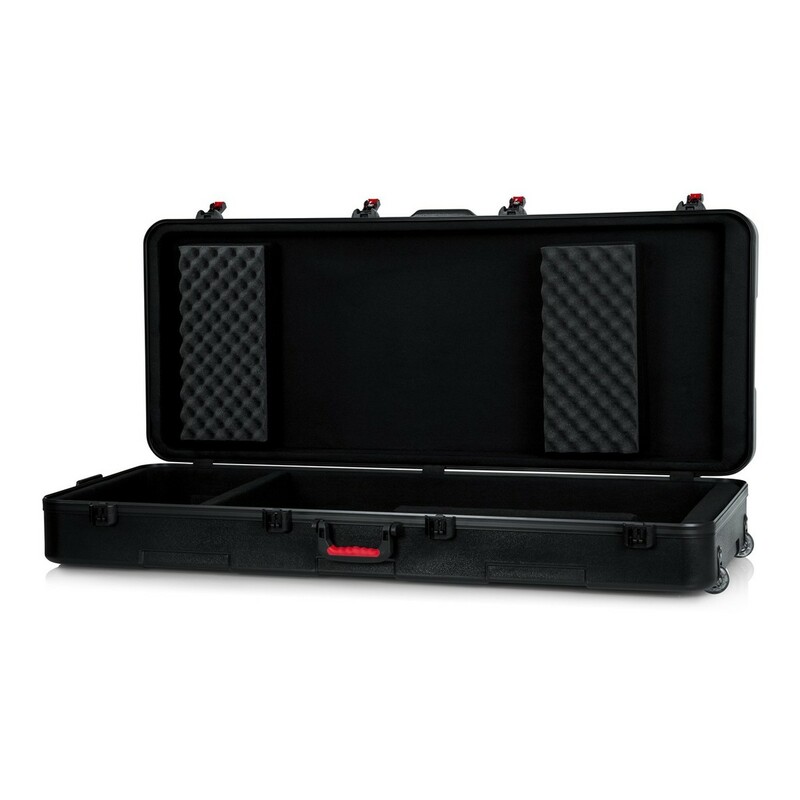 The case is crafted from incredibly robust polyethylene, with a unique wedge and block design which allows for internal customization. 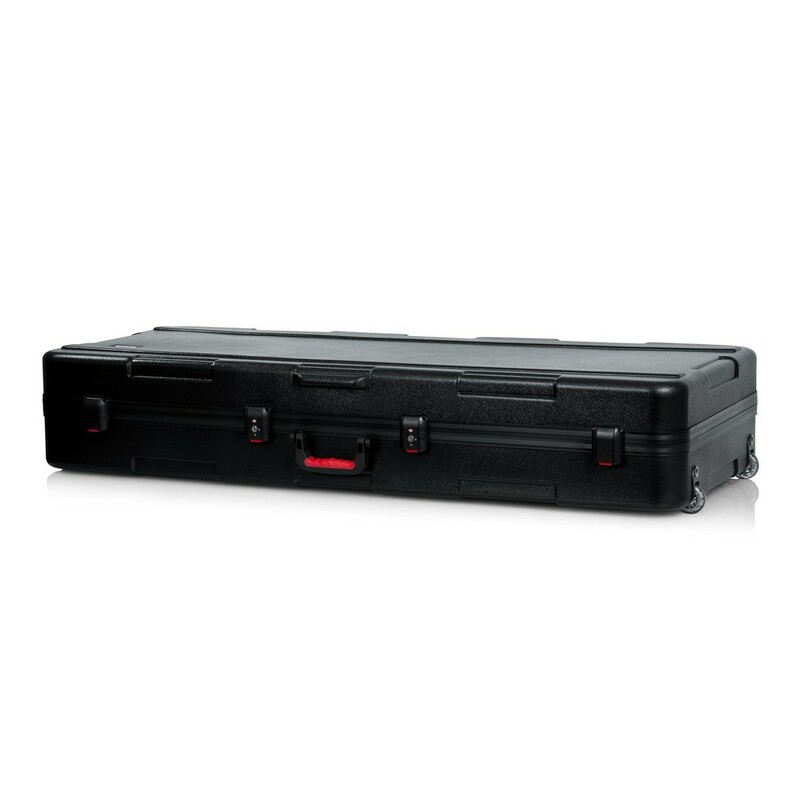 The case is also equipped with four TSA latches, two of which are lockable, and are made with surface mounted impact diversion housings with red release triggers. A spring-loaded rubber-grip tow handle, recessed inline wheels, and a comfortable ergo-grip carry handle provide simple transportation options. 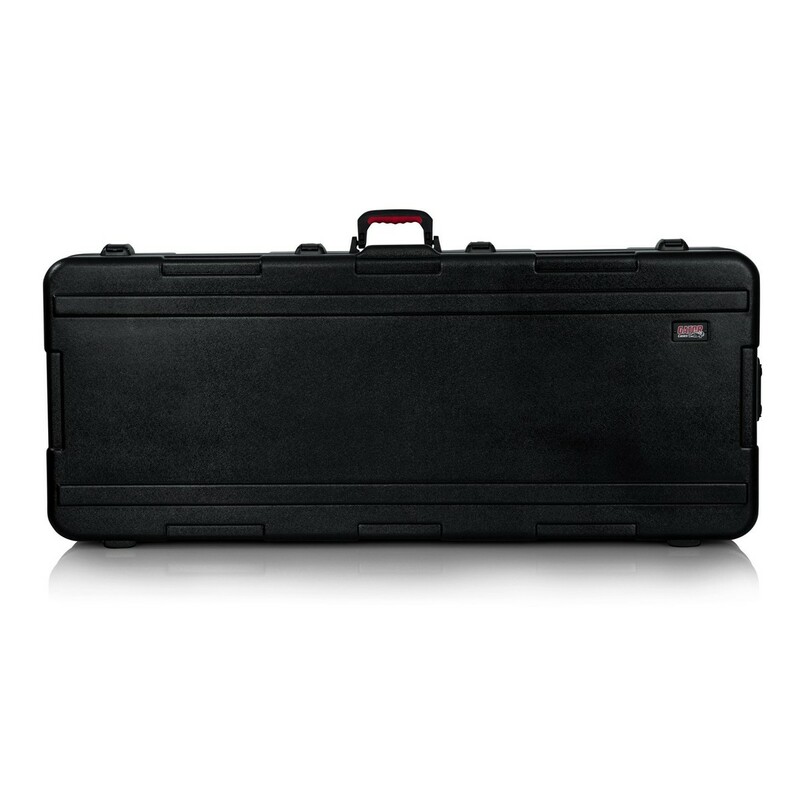 The case is beautifully finished with black powder-coated hardware, and a continuous valance. 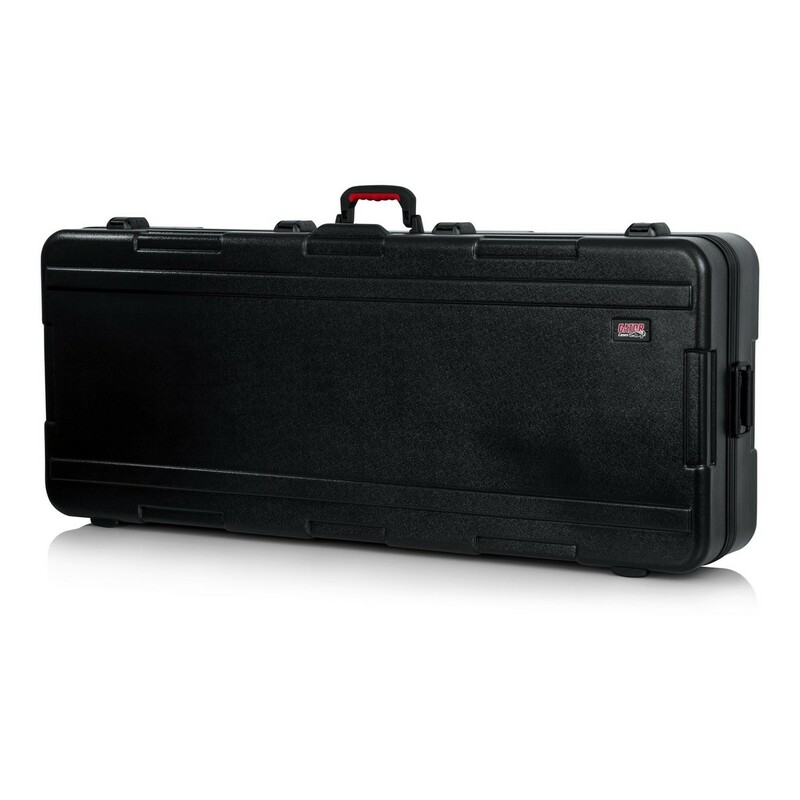 Please Note: The images shown are for display purposes only, and the Gator GTSA-KEY76D does not include the keyboard depicted within the images.